Home » Actualités » Jochen Hellmann (UFA) : “The DFH has long been a Bologna laboratory and a European University avant la lettre”. 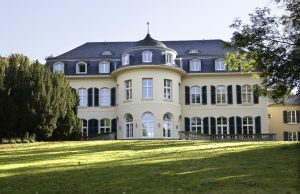 « There is no overstating the fact that the Franco-German University (Deutsch-Französische Hochschule – DFH) is uniquely positioned in the area of university internationalisation. The DFH is an institution that belongs to two countries, and where neither has the ‘last word’. It has created a structure for establishing transnational degree programmes which is unrivalled in the world.” Un article de Jochen Hellmann, secrétaire general de l’UFA, paru récemment dans la revue Internationalisation of Higher Education – Developments in the European Higher Education Area and Worldwide. Pour consulter l’article de M. Hellmann, cliquez ici : The Franco-German University.